Corporate Slideshow provides users with a perfectly designed template for modern and professional presentations. Its’ minimally designed style complements any video style well and fonts can be swapped out endlessly if desired. Additionally, users can add subtle light leaks over templates to create an extra layer of stylization. Using Corporate Slideshow is easy. First, drag the initial video or image into the FCPX timeline. Then, select a preset from the Titles Browser and drag it directly on top of the initial clip and aligned with the start of the footage. Additional presets can be stacked and offset a few frames to time them however necessary. New media must be applied to the drop zone of each title layer. The controls in Corporate Slideshow are simplified for ease of use. Users have complete control over everything they need without the distracting frills. The sidebar can be edited by color, opacity, blend mode, and coverage of the screen. Animation directions can be chosen for the drop zone and the sidebar using drop-down menus. Camera controls, divider settings and drop shadow parameters can also be manipulated. Corporate Slideshow’s minimal design allows it to be effectively matched to any scene. Change the color using a simple color picker and the blend mode to change the way the color affects the source footage. An endless variety of looks from vibrant to muted can be achieved by altering these settings. Finish the stylization by adding a subtle overlay, and/or altering the fonts. Users can choose one of the 16 pre-made shots as a base to work with. The shots are divided among animation types. Each preset contains a unique combination of drop zone and sidebar animations. Once applied, users can create all-new layouts using the controls provided. Animations can even be changed once applied using drop-down menus. Where do I find CORPORATE SLIDESHOW? Once the installation is complete, you can find CORPORATE SLIDESHOW in the FCPX Titles library. 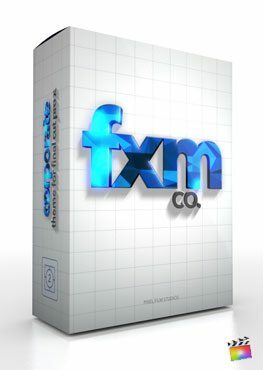 What version of FCPX is required for this plugin? Final Cut Pro X version 10.2.1 or newer is required for this plugin to properly function. 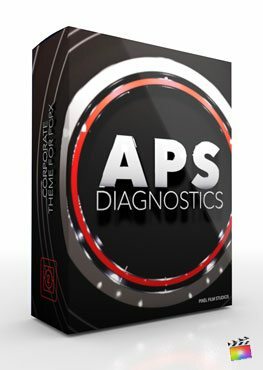 Can Images & Video be used with this plugin? This plugin designed to work with any media that be placed into a drop zone(Media placeholder) which can be an image or video clip, depending on the users choice.